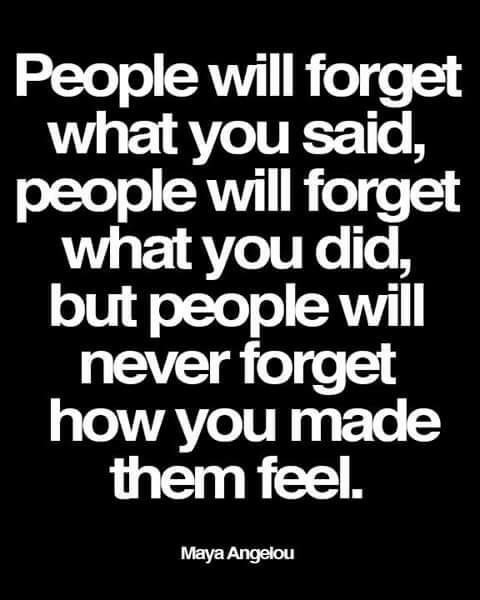 I think back to times I could have spent with my grandparents or with my dad that I can never get back. I wonder about the questions I could have asked them, seeking their wisdom from lives well spent (and mistakes they’ve learned from). I find myself curious about specific details about our family history and know there are some things I may never know, like whether my great-grandpa immigrated from Austria or Germany. As a child and young adult I never thought about not having my dad around, and even though my mom’s Mom died when I was 16, I honestly thought I’d have my grandparents in my life for a good long while. So after high school I started my adventure into the big wide world, did some traveling and came home for sporadic, short visits. Eleven years later on I moved back to my hometown and got busy with life, thinking there’d always be time for my family. I know I’m not too much different from the vast majority of other people out there these days and that my family supported me in goals and ambitions but I’m still left with the feeling that I’d missed out on something special. 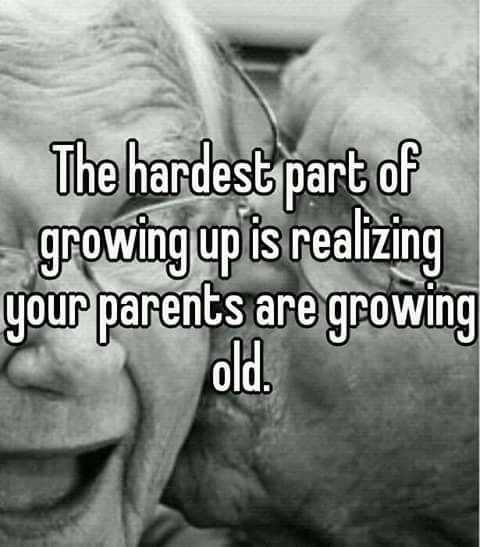 The hardest part of growing up is realizing your parents are growing old. So, where does this leave me now? I’m making an effort to change with the rest of my family and doing what I can to encourage others not to make my mistakes. I make an effort to pass down as much family history as I know to my niece and nephews. 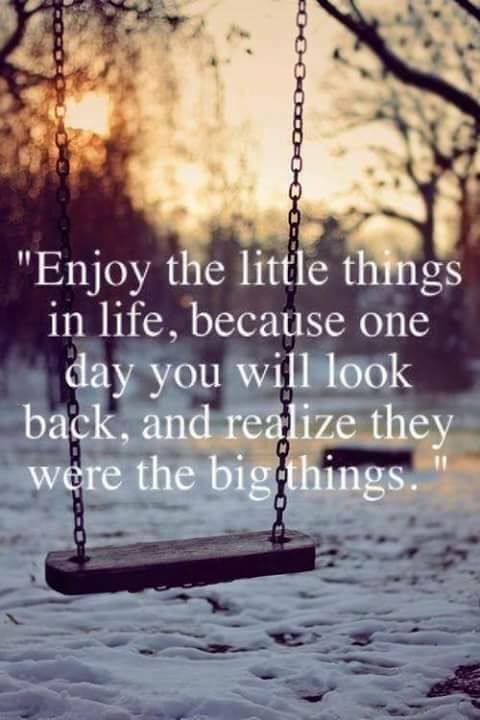 I hope that in seeing me care for their grandpa and great-grandpa that they have learned the importance of being available to family and being active in their lives. I have gotten to know some of my great-aunts and have discovered what delightful, spunky and fun women they truly are! 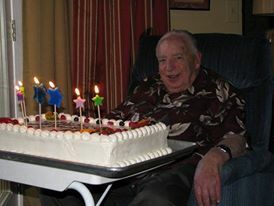 Grandpa, at his 93rd birthday. This is something I’m proud of, every year for Grandpa’s birthday I would make sure we had a big party, inviting the whole family. Grandpa loved having his family around him and he would sit for hours chatting with one member or the other or just sit back and watch us together. I had two goals each year: #1: for Grandpa to have an enjoyable birthday, and #2: for the rest of the family to have a chance to build up a store of memories. Every year it was a lot of work and I was more than exhausted when it was all over, but when I looked on my Grandpa’s face it was all worth it.